Interested in increasing your live release rates in your community? Want to learn how to develop systems that will empower your organization to save more lives? This apprenticeship will show you how coordinated efforts of multiple programs can do just that. This apprenticeship opportunity is for shelter/rescue organization directors, managers, and coordinators who are interested in creating and growing shelter programs that result in more cat adoptions and greater feline life-saving.Students who are empowered to make changes and launch new initiatives are encouraged to apply. This advanced level Master Class, taught by Monica Frenden, will especially interest shelter managers and personnel who are coordinating several departments or cat programs in an effort to increase feline live release rates in their community. Today, Austin Animal Center takes in over 6,000 cats and kittens annually, and APA! handles over 5,000 cats/kittens each year. Overall 96% have live outcomes. Students will spend 5 days at Austin Pets Alive! 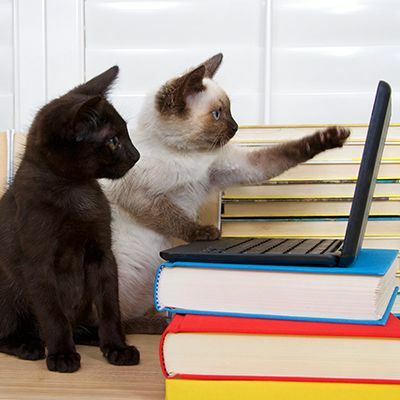 to study and learn the ins and outs of multiple different cat programs and initiatives that each contribute to feline lifesaving. Through intensive sessions and participation in hands-on activities, students will learn how to create and manage essential cat programs, how to lead staff and volunteers to accomplish goals, and how to be as effective as possible with limited resources.